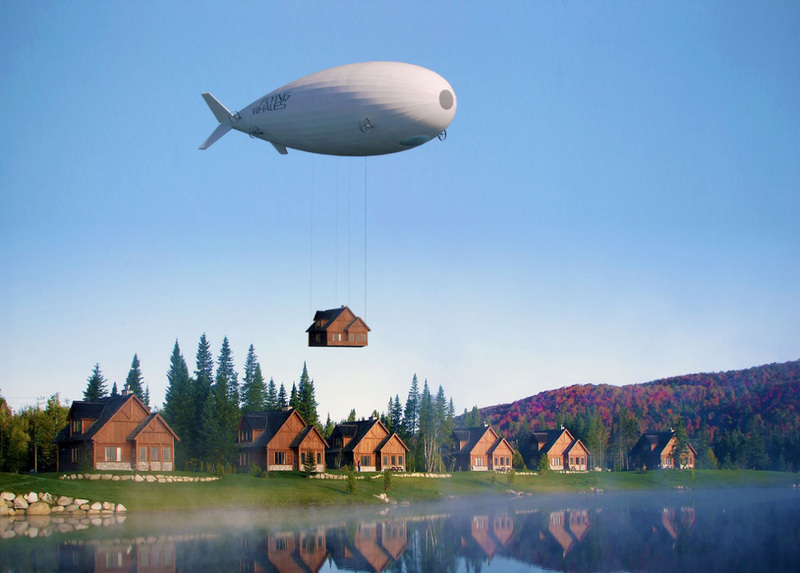 ❝ France has entered the global race to develop a viable cargo airship with a 500-foot blimp designed to lift lumber from deep woodland. ❝ The Flying Whale will be twice as long as a Boeing 747 jumbo jet and have a rigid structure with individual pockets of helium, technically making it an airship rather than a blimp, which relies solely on internal gas pressure. It will be powered by small diesel or electric engines but require minimal power. I love airships. Being an old fart, I remember the sight of some pretty big navy dirigibles overhead during WW2. Truly impressive.